Highway 30 has potential to be a direct route from downtown Portland to St. Johns. 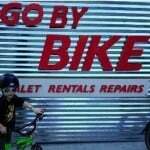 Unfortunately its bike access is abysmal. Image from cover of ODOT’s Autonomous Vehicles 101 presentation. 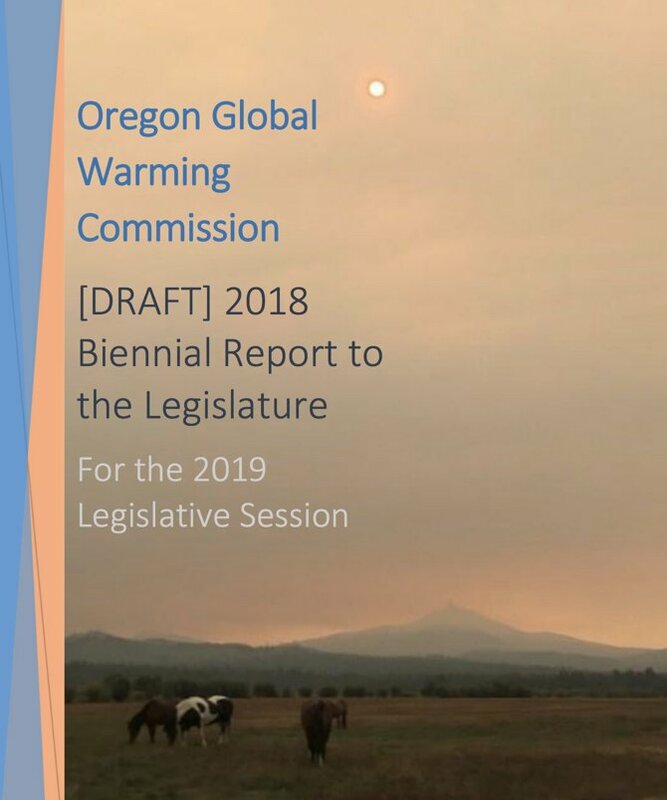 — Caleb Diehl is a staff writer at Oregon Business Magazine. 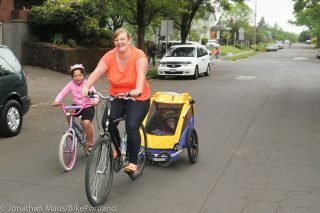 This is his first story for BikePortland. 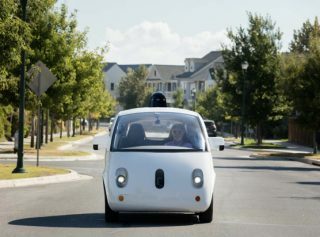 Despite recent news of an autonomous vehicle crash in Tempe, Arizona, the Oregon Department of Transportation’s task force on autonomous vehicles is driving forward. The group will hold its first meeting on April 18. 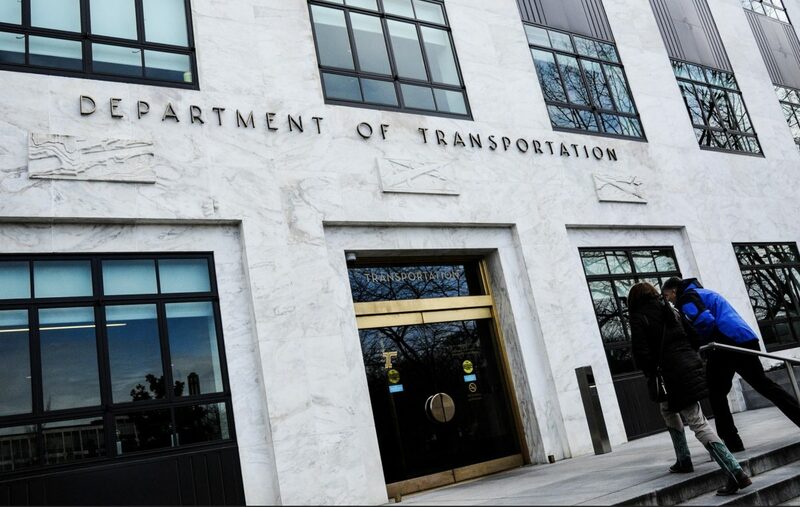 Among the 27 members appointed by ODOT Director Matthew Garrett you’ll find members of the trucking, taxicab and automotive industries. You won’t, however, find anyone from an organization that advocates for biking and walking. 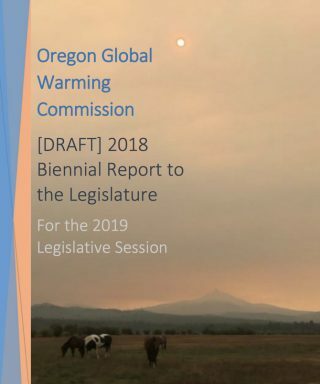 ODOT spokesperson Sarah Kelber said she couldn’t comment on the makeup of the task force, which is outlined in HB 4063, the bill that created it. The language of the legislation doesn’t leave much wiggle room for choosing appointees. But it does mandate that one member come from a nonprofit, which could have opened the door for an advocate of vulnerable road users. The Street Trust’s Advocacy Director Gerik Kransky said his organization was notified too late in the process to take part. The ODOT Files is an occasional series that shares strange-but-true stories about how our state transportation agency is falling down on the job. 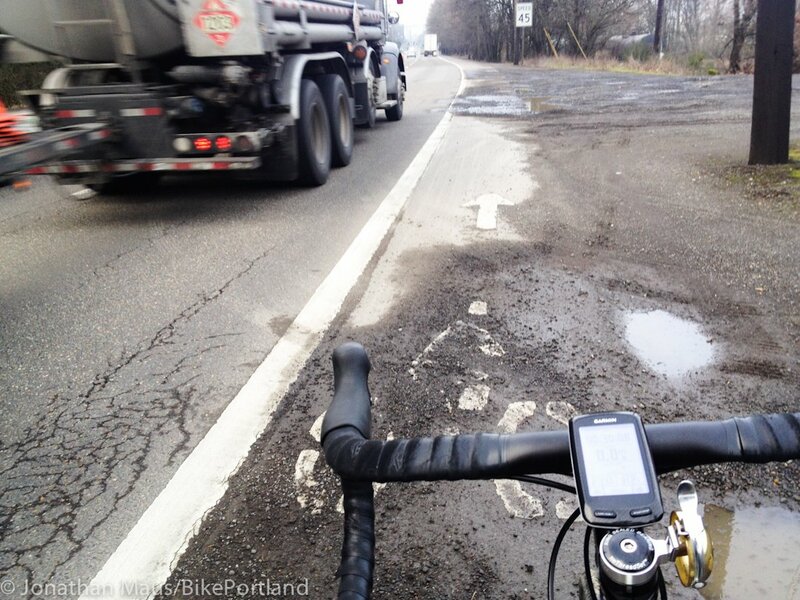 How bad have things gotten at the Oregon Department of Transportation? 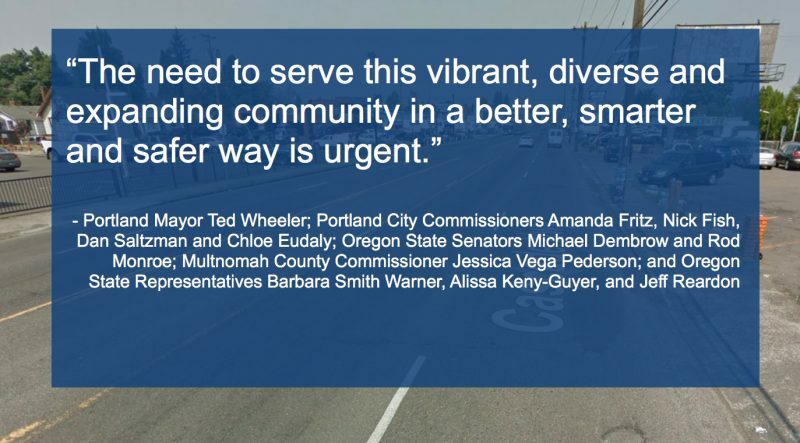 How about a letter admonishing the agency signed by every major elected office holder in the Portland region? 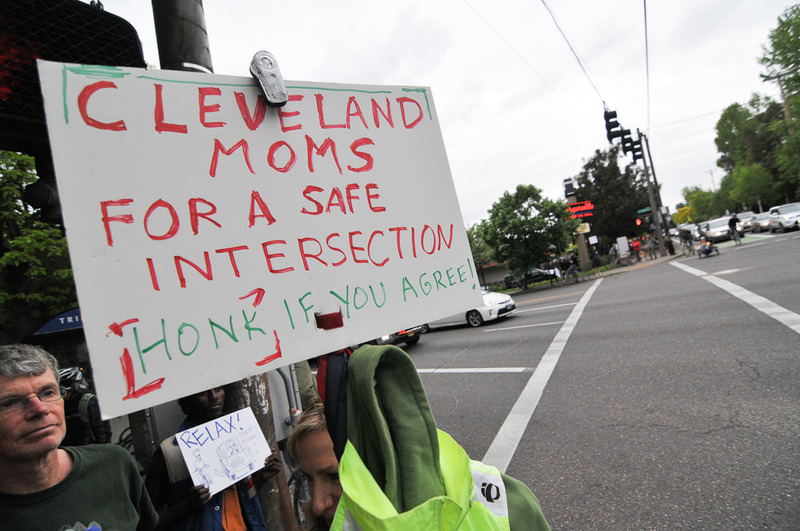 Sign from a protest outside Cleveland High in May 2015. Today across America school students are walking out of class to bring attention to gun violence, the need for comprehensive reform of gun laws, and to say “Never again!” when it comes to school shootings. Most Portland Public Schools administrators support the walkout. As a parent of kids in three PPS schools, we’ve gotten detailed emails and notices from each one in preparation of today’s actions. Last night I heard from a parent of a student at Cleveland High School that the email sent by Principal Ayesha Freeman included a strong warning about a major safety concern that has nothing to do with gun violence. Freeman shared four specific items in her email aimed at getting parents and students ready. 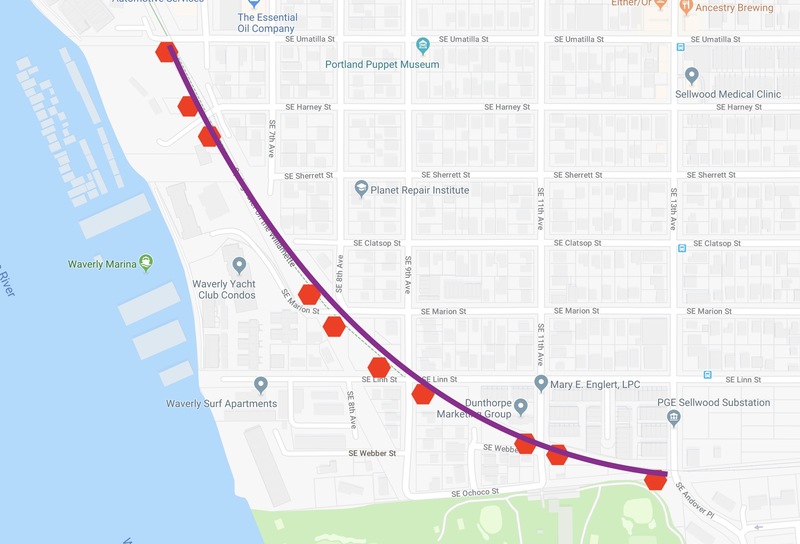 One of them was about SE Powell Boulevard — the state-controlled arterial road that runs outside the school on its southern side. 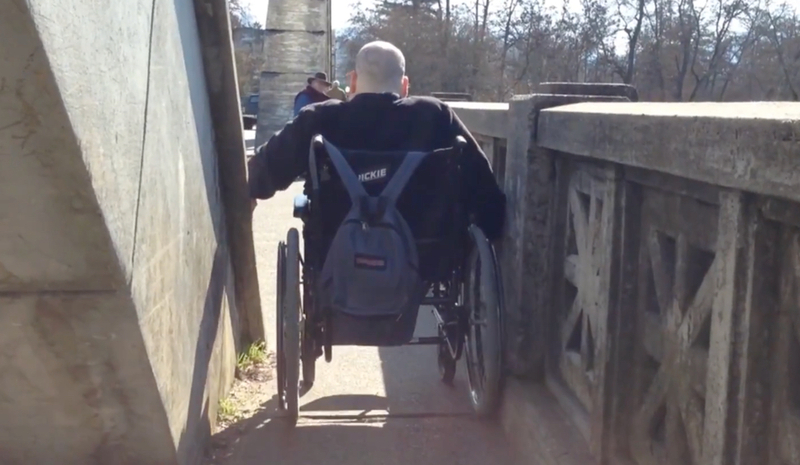 A wheelchair user tries to squeeze through the pinch point on the Caveman Bridge. 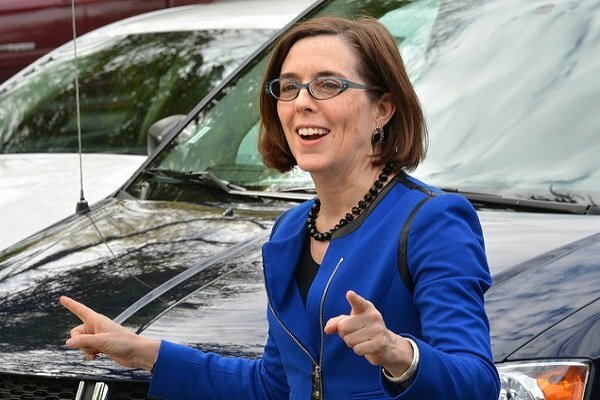 The ODOT Files is a collection of stories that illustrate how the Oregon Department of Transportation prioritizes auto and trucks users at the expense of everyone — and everything — else. The Oregon Deparment of Transportation is spending $5.3 million to update and make seismic retrofits to the historic Caveman Bridge in Grants Pass. The project goal is to bring the bridge back to is “Depression era beauty” by repairing cracks, broken concrete, exposed rebar, and delamination of the deck. 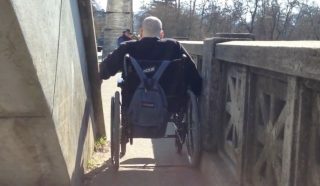 But for people who use the bridge sidewalk — especially those who use wheelchairs and other vehicles — there’s nothing beautiful about narrow pinch points. And there was nothing in the plans to widen them until the agency’s hand was forced.